What Types of Containers Have the HDPE 2 Recycling Mark? What Are the Raw Materials of Plastic Bottles? Plastic goes through a manufacturing process to end up as bottles for liquid substances such as milk, soda, motor oil and shampoo, and for dry products such as medications and nutritional supplements. In its raw state, plastic is made up of a range of organic polymers, including polyethylene and ethylene. In a soft state, plastic can be molded into the desired shape and then cast into a solid state. Plastic bottles are made of polymers, which are chemically bonded to create materials such as polyethylene and polystyrene. The different raw materials of plastic bottles include polyethylene terephthalate and high-density polyethylene. If you have a plastic bottle, check the base of it for the resin identification code to find out what it is made of. This code is designed to help you recycle plastic bottles in the correct way. A plastic bottle made of polyethylene terephthalate has the resin identification code 1. Also known as PET, PETE or polyester, it is often used for carbonated beverages, water and food products because it is strong and light. Like most plastics, PET is made from petroleum hydrocarbons, formed as a reaction between ethylene glycol, a colorless viscous hygroscopic liquid, and terephthalic acid, an organic compound. During the production process, PET polymerizes to form long molecular chains. 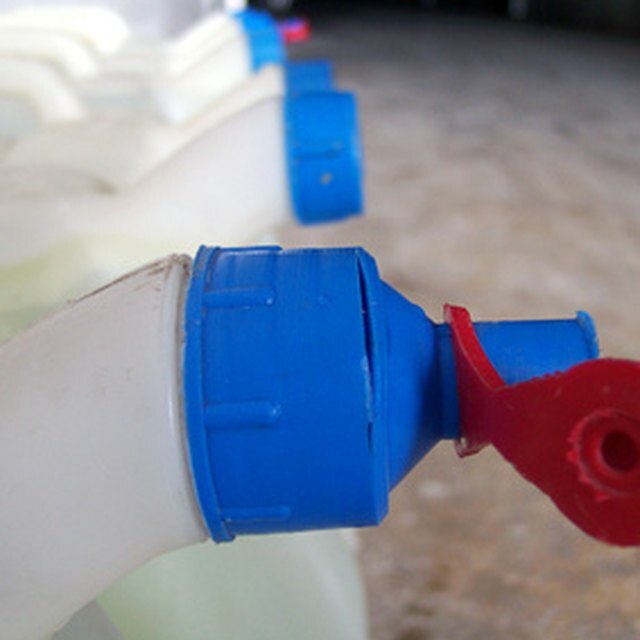 The resin identification code 2 denotes high-density polyethylene (HDPE). It is economical and yields an efficient moisture barrier, making it the most widely used material for plastic bottles. It is made from petroleum, a naturally occurring liquid found in geological formations beneath the Earth's surface. HDPE is resistant to many solvents and has a high density-to-strength ratio, making it the ideal plastic for reusable and recyclable bottles. It is also used to make pipes, lumber, fireworks and plastic bags. Low-density polyethylene (LDPE) has a similar makeup to HDPE but is more translucent, less chemically resistant and less rigid. LDPE, which has the resin identification code 4, is made from the monomer ethylene and is most commonly used to make plastic bags, but it can also be found in detergent bottles, dispensing bottles, and squeezable bottles for foodstuffs like honey and mustard. Polystyrene (PS) is a synthetic aromatic polymer made from the monomer styrene. It may come solid or foamed and has the resin identification code 6. As a rigid plastic with an excellent moisture barrier and low thermal conductivity, PS is often used to make bottles for dry products, such as vitamins and aspirin. Some milk and yogurt drinks may also come in PS bottles. Gillespie, Claire. "What Are the Raw Materials of Plastic Bottles?" Sciencing, https://sciencing.com/raw-materials-plastic-bottles-5747796.html. 11 April 2018.